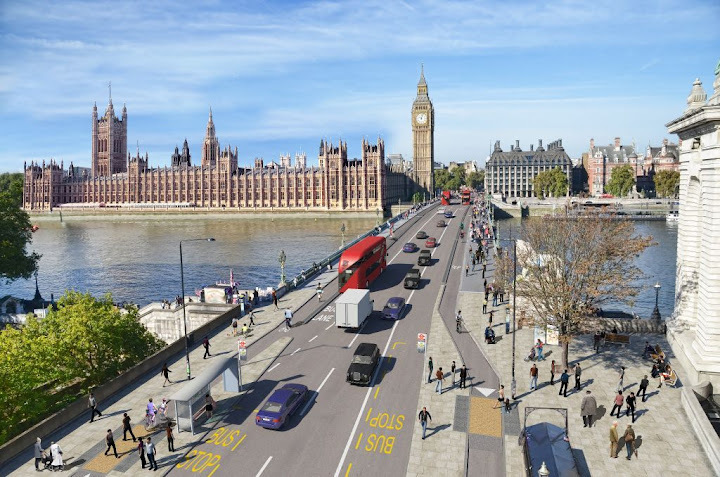 Transport for London have confirmed that they are to go ahead with the changes to the cycle lane provision on Westminster Bridge that they proposed in December. Seventy four percent of respondents to the consultation expressed support for TfL's proposals for the bridge. TfL have announced that they will introduce a 1,8metre segregated cycle lane on both sides of the bridge. Work is expected to begin in the autumn of 2016 with completion by January 2018.